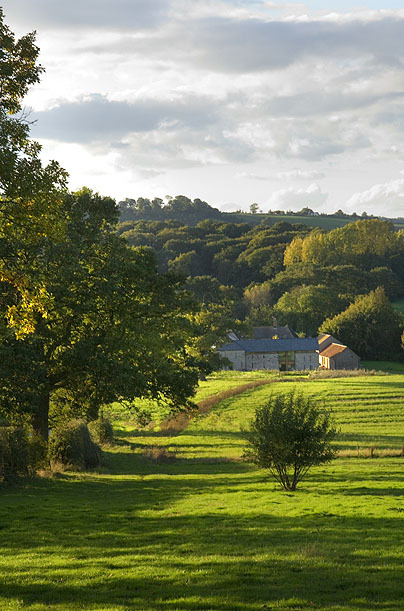 Nestling in the peaceful countryside of the Wye Valley, close to the Malvern Hills, the Forest of Dean and the cathedral cities of Gloucester, Worcester and Hereford, the barns are perfectly placed for trips out and beautifully designed for relaxing days in. Kempley Barns are well placed for motorway access. The car journey from London will normally take just over two hours and from Birmingham or Cardiff a little less than an hour. The nearest rail stations are Gloucester and Ledbury, both a twenty minute drive away. Coaches call at the nearby towns where you can reach us bytaking a short taxi ride. 1. Leave M50 at J3. From the North turn left over motorway bridge and within a hundred meters turn right, signposted Kempley. From the South after exiting motorway turn left and then immediately right, signposted Kempley. 2. Passing Ross Golf Club, travel through woods, follow road for approx 2.5 miles to Kempley. 3. On entering Kempley, farm on right, postbox and 'Fishpool' sign on left, take left hand turn on a bend, signposted to Ross and besides a distinctive small, yellow stone cottage. 4. Travel downhill, then uphill passing three houses on left. At third split level house take a right turn into a gravel drive bordered by a chestnut fence. 5. Follow drive taking care at 90 degree bend. Kempley Barns will become visible in the valley below.